This blog was written by Bobbie Kabuto, a member of the NCTE Standing Committee on Assessment. My interest in changing the conversation on assessment came out of my experience as a teacher-educator. As a teacher-educator, I want teachers to think critically about how assessments inform and impact their teaching. We know that formative “in-the-moment” assessments can better inform teaching on a daily basis. Yet high-stakes testing continues to carry the conversation on assessment in schools. A “teach to the test” mentality results in test preparation dominating day-to-day teaching practices, particularly during testing months. How do formative, classroom-based assessments compare to high-stakes state testing? How do you support teachers in using assessments to inform classroom practices? What advice do you give to teachers who want to change the conversation around assessment with administrators? In the video of our conversation, Sandy, a retired administrator, discusses how formative assessments are more effective for developing instruction. Sandy uses the term “in-the-moment assessments” to talk about how students are not only at the center of learning but are also at the center of assessment. She explains how there are pressures on administrators for their schools to perform well on state tests, but describes how the tests do little to inform teaching. Sandy advocates for administrators to be the “lead learner” and the “public learner” for supporting teachers. Dyanne, an administrator in a suburban school district, discusses how state tests create a nervous and stressful atmosphere in schools. She explains how teachers feel the need to teach to the test in spite of the fact that the tests are taken when the curriculum is not finished. Also, the results do not come back in time to inform instruction with the same group of students. Dyanne talks about the opt-out movement for state tests. She wonders how state tests can inform instruction when so many students do not take the tests in her school district. Dyanne describes how she supports teachers through individual conferencing. Her goal is to have teachers include formative assessments into their instruction. The conversations with Sandy and Dyanne illustrate the importance of keeping open dialogues with administrators. 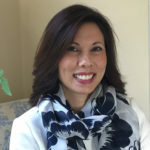 Bobbie Kabuto is associate professor at Queens College, City University of New York, where she directs the literacy program, birth to sixth grade.